This glorious home, built in 2016 by Jeb Bergeron Custom Homes, exudes unparalleled workmanship. Not one detail has been overlooked. The lush landscaping captivates your senses with the sweet tropical fragrance of the Joy Perfume tree and the splendid sights of the orchids, suspending from the Palm trees along the walkway to the front porch. As you step inside, warmth radiates from the French Oak floors and the neutral color palate creates a serene setting. The fabulous kitchen is equipped with Thermador appliances, including a gas range and a wine fridge located in the walk-in pantry. The striking mantelpiece over the gas fireplace, in the living room, was created with Deadhead Cypress from the Apalachicola River. The master suite embodies luxury with a bathroom emanating a spa-like atmosphere, dual walk-in closets and a private office. The thoughtfully designed "Guest Wing", located on the opposite end of the home, includes a comfortable and private sitting area that is perfect for curling up with a good book. Each guest bedroom includes a beautiful en suite, showcasing tiles by Walker Zanger and Ann Sacs, and French doors allowing you direct access to the private pool deck. 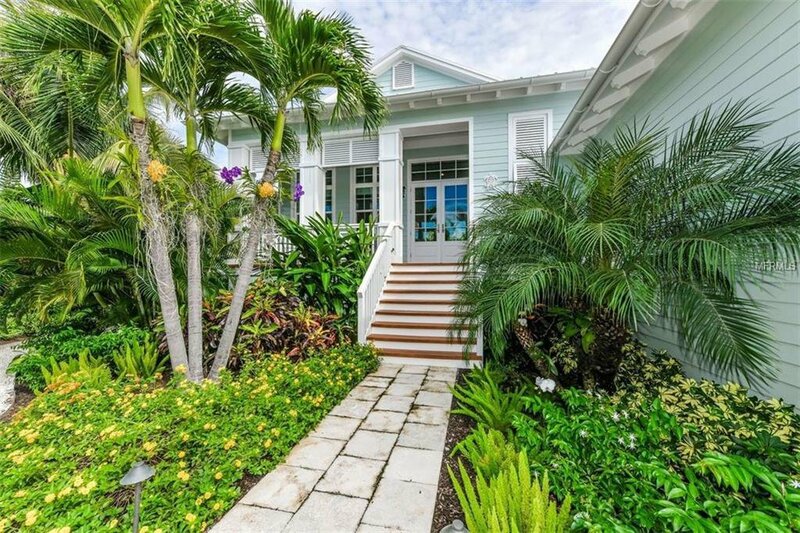 The home is located less than a mile from the charming village boutiques and the renown restaurants that Boca Grande offers. Come take a short stroll across the street and leave your footprints in the sandy pathway, leading to the Gulf of Mexico, footprints for you to follow day after day. Listing courtesy of GULF TO BAY SOTHEBY'S INTERNAT. Selling Office: SOTHEBY'S INTERNATIONAL REALTY.